I love fall, and Halloween, and pumpkin carving. 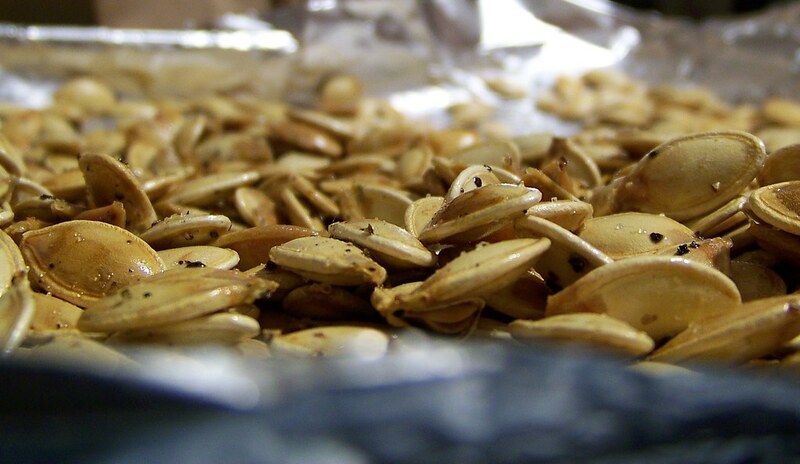 The most fun thing about carving pumpkins is baking and then eating the seeds. Maybe that's not true. 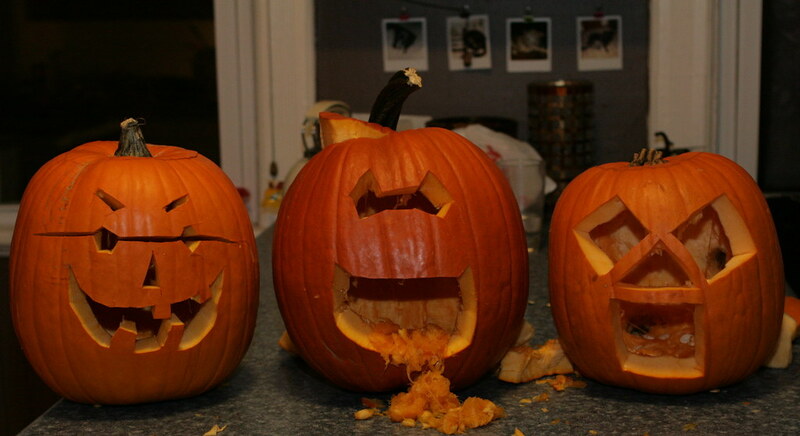 The whole process of carving pumpkins is fun. 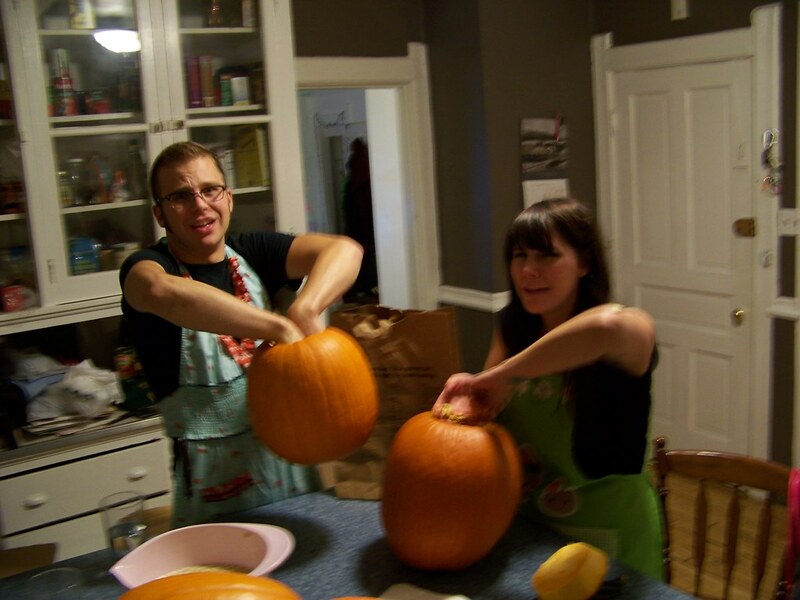 While I was in Milwaukee, Kelly, her friend Ben, and I carved pumpkins. Mine was wearing sunglasses, Kellys had eyes stuck together, and Bens was a math pumpkin, all squares and an equilateral triangle. Despite the looks on their faces, we had fun. I can't wait until Alex brings home some pumpkins so we can carve them, something he doesn't totally understand because they apparently don't make Jaco-o-lanterns in Slovakia. He had fin when we did it last year! Anyhow, here's a simple recipe for roasting the seeds. You can add spices or flavorings if you want. I like lots of salt and pepper. 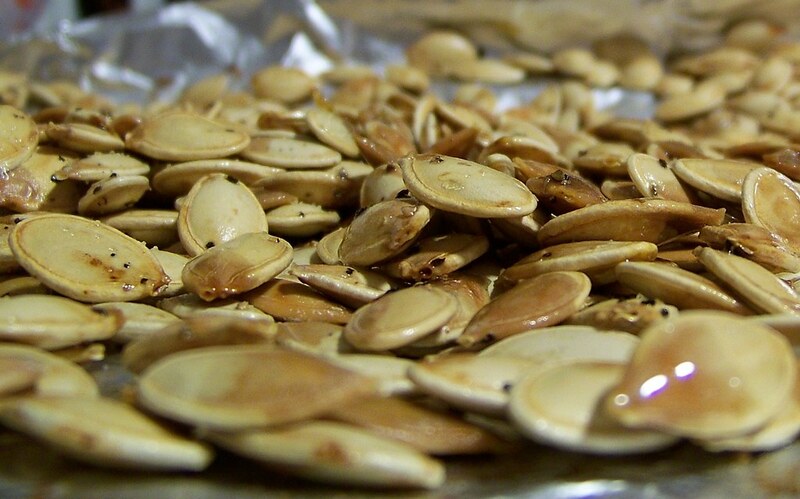 Rinse your pumpkin seeds, then toss in a Tablespoon or two of olive oil. Spread on a cookie sheet in a mostly single layer (I line the cookie sheet with foil so I don't have to wash it after) and sprinkle with lots of salt and pepper. Bake in a 350 oven for 20-30 minutes until seeds start to brown, stirring once or twice. I did this exact thing last week and had left overs... they got soft and stale... I tried nuking them to no avail, any ideas? ?